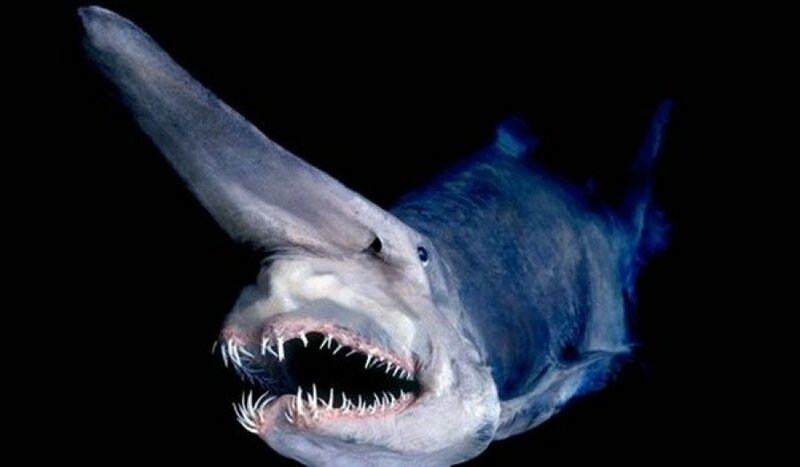 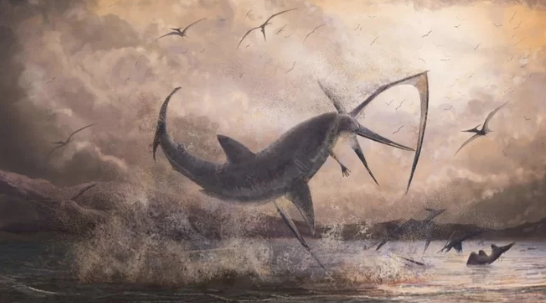 Scary flying shark lived 80 millions years ago! 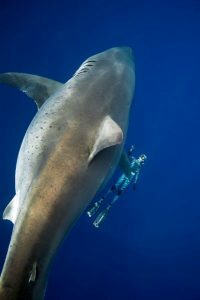 An enormous great white shark believed to be one of the biggest ever recorded, was spotted off the coast of Hawaii. 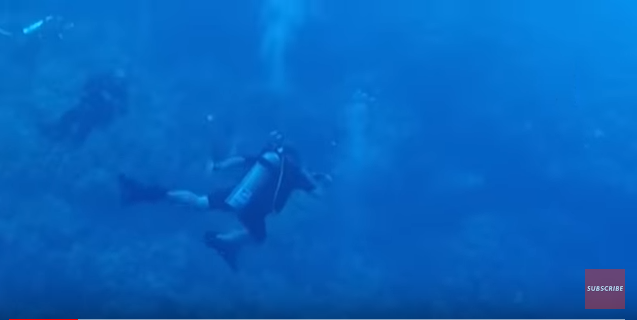 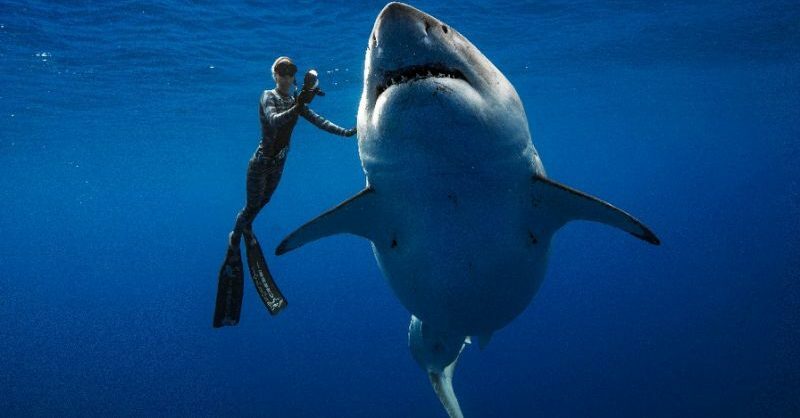 Divers saw what they perceived to be an opportunity to take a swim with the predator. 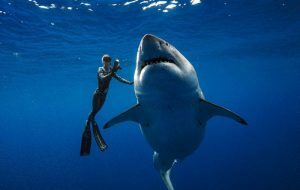 The predator along with other sharks was seeing feasting on a sperm whale carcass. 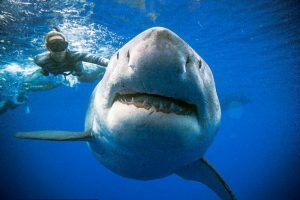 The 2,5 tons, six meters and probably 50-years-old female shark, was bearing similar markings as “Deep Blue”, the largest great white shark on record.